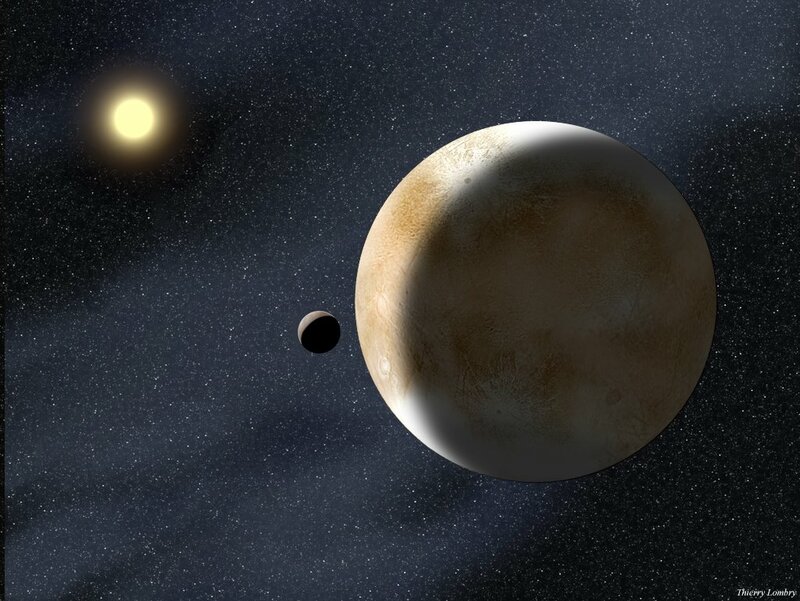 In Brief About UB313(now designated as ERIS ): Before 24th August, 2006 “UB313” was understood to be Tenth Planet but after new definition of Planet by IAU it has become “Dwarf Planet”. Further it was also nicknamed and known as “Xena” awaiting final designation from IAU. As per the communiation recived by the office of our society following is the information posted for your kind information. The International Astronomical Union announced the names (136199) Eris for the dwarf planet provisionally named 2003 UB313 and Dysnomia for its moon. The dwarf planet formerly known as 2003 UB313 received the official designation (136199) Eris, or Eris in short, from the International Astronomical Union on 13th September 2006. The name was accepted almost unanimously by the Working Group for Planetary System Nomenclature (WGPSN) and the Committee for Small Body Nomenclature (CSBN). Eris’s Moon – DYSNOMIA : Eris’ moon, formerly known as S/2005 (2003 UB313) 1 and now known technically as (136199) Eris I, has been named DYSONOMIA. The name Dysnomia was accepted unanimously by the members of the WGPSN. The name was proposed by Mike Brown (Caltech, USA) on behalf of the discovery team. Hisory of UB313 (now ERIS) : The name Eris was proposed by the discovery team. 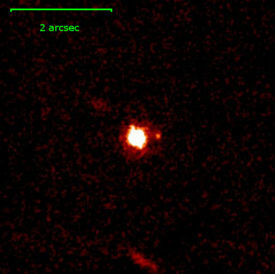 UB313 now designated as (136199) Eris was discovered 5 January 2005, from data obtained on 21 October 2003 by M. E. Brown, C. A. Trujillo, and D. Rabinowitz at the Palomar Observatory. Greek Mythology: Eris is a the Greek goddess of discord and strife. She stirs up jealousy and envy to cause fighting and anger among men. At the wedding of Peleus and Thetis, the parents of the Greek hero Achilles, all the gods with the exception of Eris were invited, and, enraged at her exclusion, she spitefully caused a quarrel among the goddesses that led to the Trojan war. How to Pronounce: Eris is pronounced ee'-ris. Dysnomia is pronounced dis-NOH-mee-uh according to the Merriam-Webster Unabridged Dictionary.